Japanese architect Shigeru Ban has made a short-term addition to a 17th-century Venetian palazzo, featuring a curved structure covered with 90,000 empty containers normally utilized to hold eyeshadow. Known as Reverberation – Pavilion of Light and Sound, the set up is positioned at Palazzo Pisani, which dates back to 1603, and was designed by Shigeru Ban for cosmetics organization Shiseido. 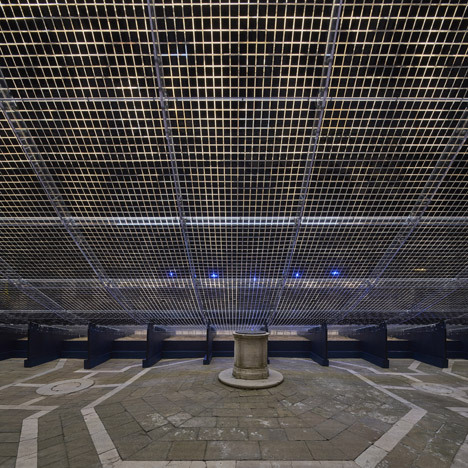 The structure was commissioned to occupy a space in the building in the course of the Venice Artwork Biennale as portion of a promotional campaign for the most recent collection from Shiseido’s Clé de Peau Beauté assortment, known as Lights of Venice. The primary component of the construction is an arc-shaped acrylic roof that swoops up to a height of 9 metres, covering the palazzo’s courtyard. 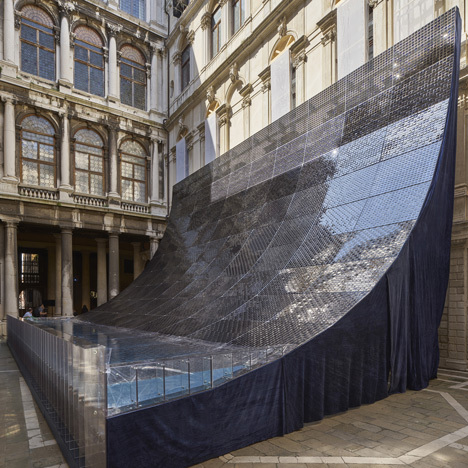 “To minimize out a space surrounded by the narrow historical facade of Palazzo Pisani, I have utilised acrylic sheets for the exterior of the pavilion, and permitted them to hang in a natural suspension, creating a parabola,” explained Ban, who was awarded the Pritzker Prize in 2014. 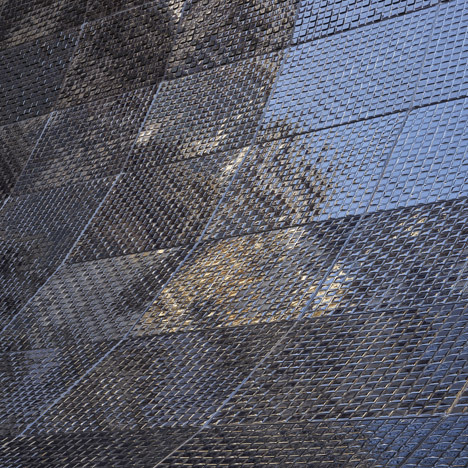 The major surface of the pavilion is covered in empty makeup palettes, producing a tiled impact and filtering the light that passes by means of the roof. At the base of the curve, a pool of water has been added to provide additional lighting results within. “The initial time I noticed the palette of Clé de Peau Beauté, the dark blue colours looked to me like a tile that displays and absorbs light,” explained the architect. 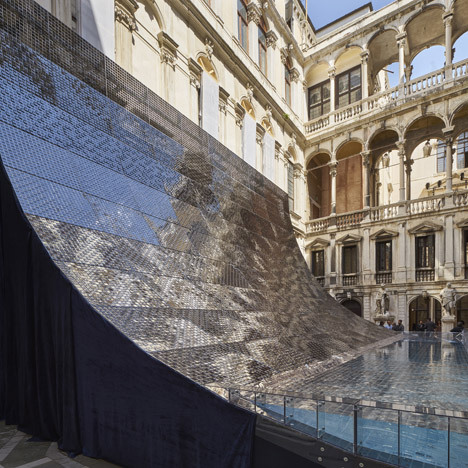 “They reflect light and make darkness in the interior and, through the spaces among them, a wavering light that is characteristic of Venice flows into the framework, reflected from surface of the water functioned as a fixed excess weight,” he additional. 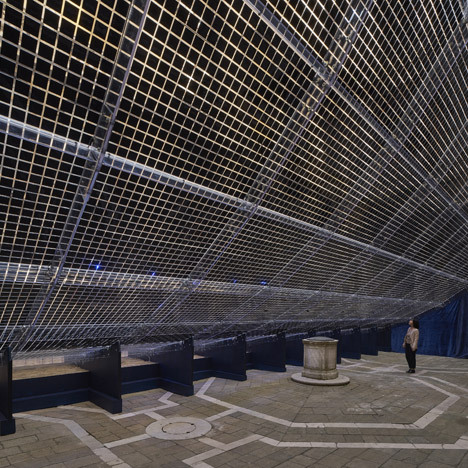 The pavilion was open to the public for two days to coincide with the beginning of the Venice Artwork Biennale, which runs from 9 May possibly to 22 November. On the Biennale’s Giardini internet site, Israeli artist Tsibi Geva has covered his country’s pavilion in thousands of used tyres. Photography is by Didier Boy de la Tour. Exhibition preparing and coordination: Rumiko Ito, Misa Shin &amp Co.